Venezuela art - Still in pain, raising the wings. Lately, a lot have happened inside Venezuela, and there are still things that are confusing about. My wishes are (like that of all Venezuelans) that the best happens and there is a real change. I do not want to get involved in political issues here, since these topics are better not to been touched using my artistic context; even so, I think it could be good to make a work in reference of it. Due to being in time of studies my post will be much shorter than usual. I hope you can understand, even so I will do as much as possible to give quality. I liked the community, to participate here and I wish I could continue. I wish you luck and until next time you are free. I don't recognize these symbols of Venezuela so it's nice to learn that it's these. The bird looks beautiful! I love its color. Is it your interpretation or is it goldish in real as well? And what kind of bird is it? I've heard so much about the issues in Venezuela and I feel so sorry for all its citizens. I hope that the situation will get better for you soon! It's called Turpial, their colors are those one and curiously is also the venezuelan national bird. The bird is handsome looking, I like especially the bright yellow colour on its body. I hope things will get better for you, kothy :). Although you draw about symbols of your country, it looks like cartoon, cute and lively. Your work has been recognized by the nTopaz Curation Team for its excellent quality and its enrichment to our community. The upvotes from nTopaz and rankings are based on the popularity of your art work when posted to the nTopaz platform. Es un hermoso dibujo, es triste por lo que pasa en nuestro país, pero todo mejorará, esperemos.! 🎉 Congratulations @edanya! 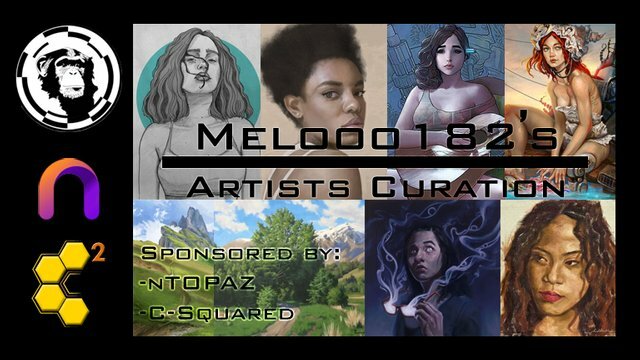 👏, your amazing Artwork has been selected to be featured in my curation post. Thanks for sharing this fantastic work. Very beautiful. I hope Venezuela makes a turn for the better! Congratulations! This post has been upvoted from the communal account, @minnowsupport, by Edanya la dibujante from the Minnow Support Project. It's a witness project run by aggroed, ausbitbank, teamsteem, someguy123, neoxian, followbtcnews, and netuoso. The goal is to help Steemit grow by supporting Minnows. Please find us at the Peace, Abundance, and Liberty Network (PALnet) Discord Channel. It's a completely public and open space to all members of the Steemit community who voluntarily choose to be there.